Although I'm not Jewish, two menorahs have been added to my holiday decorations. This is one I bought new in Israel in the most facinating shop I've ever been in! It was owned by an elderly Jewish merchant and sold everythign from $2 dreidels (which I bought one of them) to menorahs that cost thousands of dollars. He was a burly guy, and the sign out front said, "We do ear piercing". Just a facinating shop, and I loved the heart in this menorah. 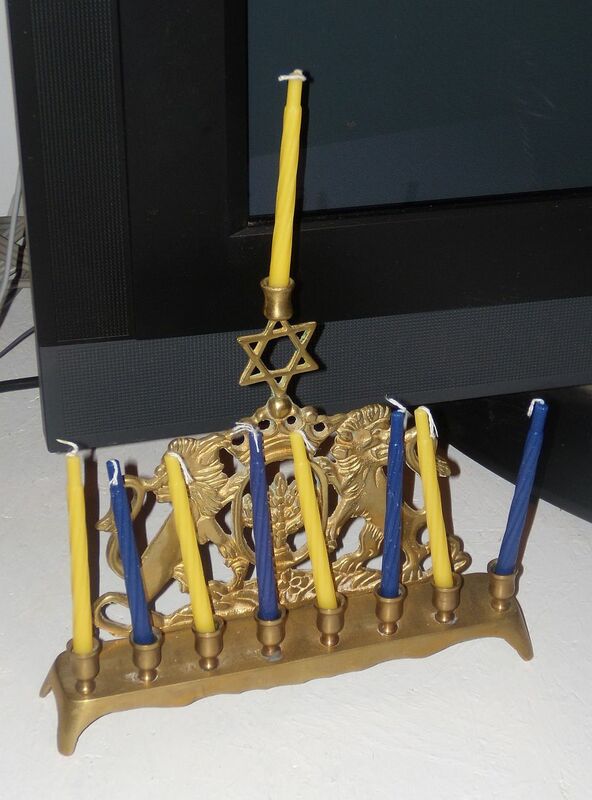 My other menorah is an antique I believe. I would guess it's from about 1920. 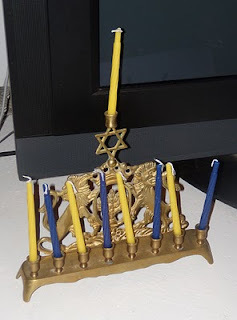 I found it in a junk shop for $5 a few years ago, and I wish this menorah could tell tales. I believe it's Eastern European in origin, and I would love to hear the stories of where it's been and how it came to be in the United States. I think it's just beautiful. Each year these two pieces come out during the holidays. Love them both. 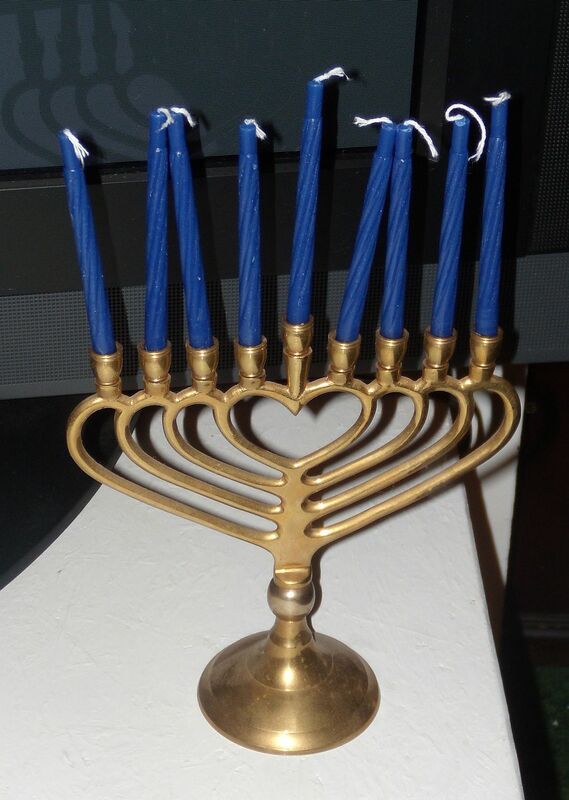 I keep wondering what happened to the vintage silver menorah I had as a kid......Susan C.